I have two children who are now 10 and 8. I am joining the 21 days to change not only my lifestyle but my family as well. 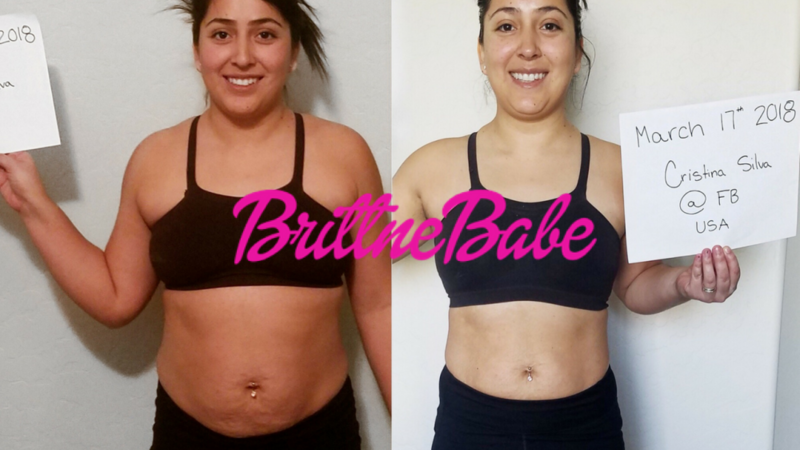 I gained 40 to 50 pounds after having my children but bounced right back to my skinny self. As years have past caring for my little family I have gained weight . Not caring for myself. I have never been this weight since the pregnancy of my kids. I am 149 pound 5’3. Would love to go back to 115 but make small goals is key for me, so I’m ready for these 21 days and lets see how far I come. When I first started the challenge I knew I needed to change my habits. Heartburn was a killer at 2am every morning. I had high cholesterol at 32 years old. My outside appearance is not where I wanted to be. Within the first week I felt a difference, my heartburn was gone and I had a lot of energy. 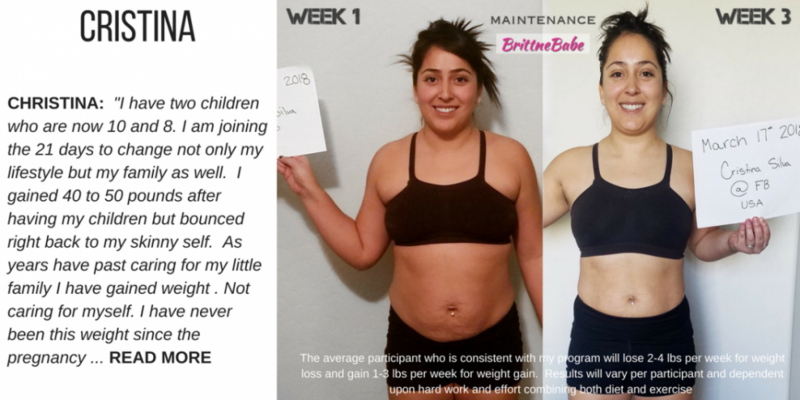 I was a little bummed not too see exterior results, but was encouraged by our brittne babes. So I kept pushing by the second week I started to see little changes in my back and tummy. Which gave me encouragement to go harder my last week. I couldn’t wait to see my last results and was totally shocked. After seeing my results I will not stop. I am continuing with the rest of the challenge and future challenges. This program has not only changed my lifestyle but my little family as well. Brittne your are amazing at what you do! Helping others find who they are; becoming a healthier better version of themselves. Thank you for all that you do. wow! hope to lose this extra pounds too. I will start this program this coming up Monday. Wish me luck!!!!!!!!!!! you look great.